Tom Brokaw has always been one of my heroes. My parents watched NBC Nightly News every evening when I was a kid. Even though I wasn’t into writing or journalism then, I appreciated his confidence and ability with words. Beyond that, he looks a tiny bit like my dad, so I trusted him. When I was 20, Mr. Brokaw’s daughter Sarah came climbing with us at the Rodeo Wall near Jackson. A marathon runner and a therapist, she was a very fun person to hang out with. (She is now author of a new book called Fortytude.) After, I hoped to join my friends for dinner with Sarah and her family. Instead, they all went to dinner, and I went home and ate refried beans out of a can. I’d walked off a roofing job a few weeks earlier and had been climbing since. I’d bounced my last check and summer was almost over. 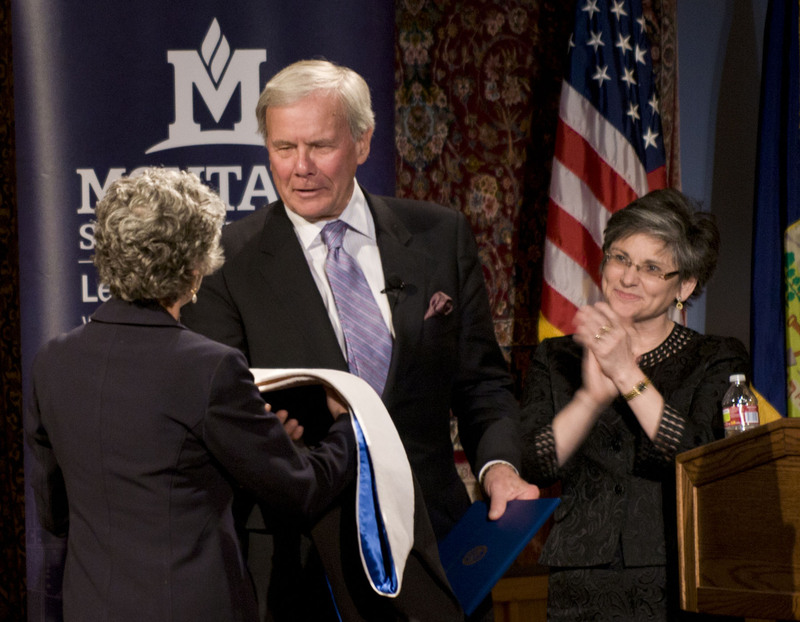 Last week, Tom Brokaw, who lives part-time on a ranch east of Livingston, Montana, came to Montana State University to speak and receive an honorary degree. I was going to skip it, but my mom made me go. 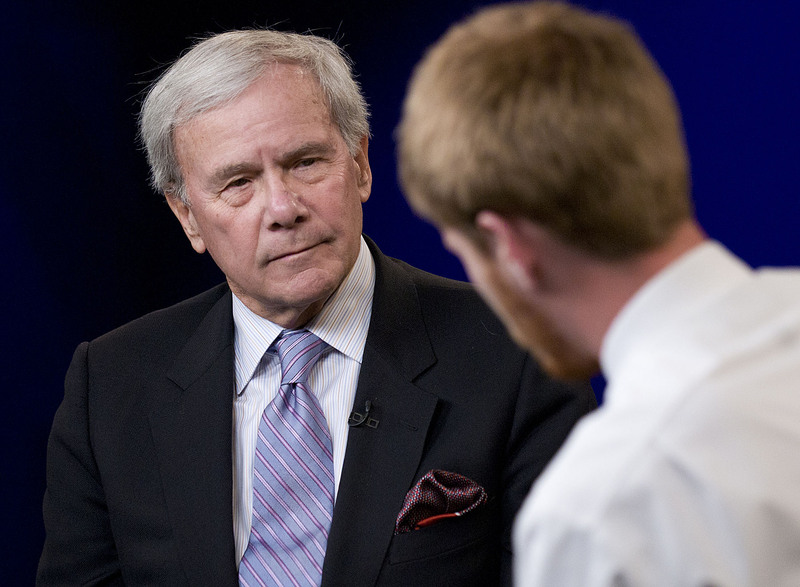 Brokaw cracked self-depricating jokes, then talked about Iraq and Afghanistan and about our need for “national dialogue.” He asked us to “re-enlist” as citizens. I recorded the speech and posted the audio with an article on explorebigsky.com. My favorite part was when he talked about the Apollo 8 mission, the first time humans circumnavigated the moon and saw earth from space. While it seems incomprehensible now, it wasn’t until I was in my mid 30s that I made my first extensive foray onto the land beneath the Big Sky. A week long backpacking trip in the Scapegoat Wilderness proved to be an infectious experience. Montana entered my bloodstream. I find the only effective cures are regular visitations to almost any place within its borders. Anyplace. A mountain peak in the Absaroka Range, with a ferocious storm racing up a basin from the south, bringing rain, hail and then a symphony of sunlight, thunderheads and sky. A herd of elk crossing the Sun River in the Bob Marshall Wilderness in ochre pre-dawn light. A 20-inch rainbow exploding from the turbulent waters of the Madison River, just north of Slide Lake. A grizzly bear foraging through huckleberry bushes on the southern flank of Glacier National Park. A Blackfeet Indian walking a long road at dusk, a pilgrim from Montana’s past, a traveler to an uncertain destination. 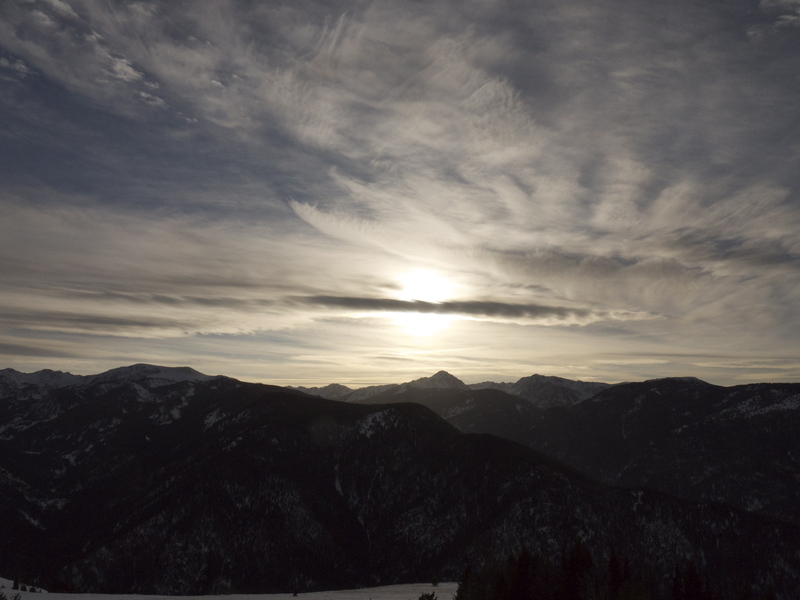 This entry was posted in Montana, Profiles, Videos/sound. Bookmark the permalink.